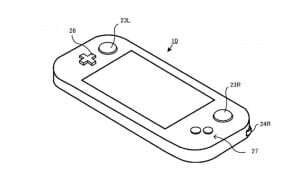 Possible Nintendo NX Controller Patent Shows Wii U-like GamePad | Nerd Much? 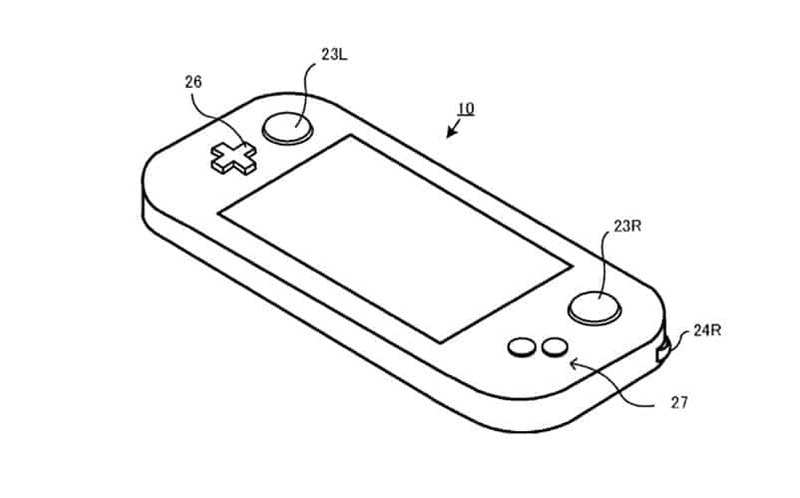 Nintendo has filed a patent for a new controller, which could possibly be Nintendo NX related. The patent shows a controller design that looks strikingly like the Wii U GamePad, except the front has two buttons instead of four and the top sports what appear to scrollable shoulder buttons instead of triggers. The design appears to have a bigger screen than what the Wii U controller has, although the controller itself appears to be closer in size to the PS Vita (although, the illustrations typically don’t represent the final device). That is just based on the images provided, as no measurements of any sort were given. The patent is most likely just for the scrollable shoulder buttons, which are also clickable. It’s probable that this sort of controller mechanic would be used for scrolling through your inventory in games, quick switching weapons, and other actions that we currently use our mouse wheel for in PC games. We don’t see Nintendo going for a Wii U slim or mini of any sort, since the console hasn’t been successful enough to warrant a second version of it. Of course, the patent could also be for a Nintendo NX handheld device, or something else entirely. We’d be surprised if the NX had a tablet controller like the Wii U, given the negative response to the Wii U’s design. Still, it’s fun to speculate. More speculation can be read on NeoGaf, where the patent was found and posted. Another Nintendo patent surfaced last month which pointed to a digital only Nintendo NX, as the design had no optical drive.